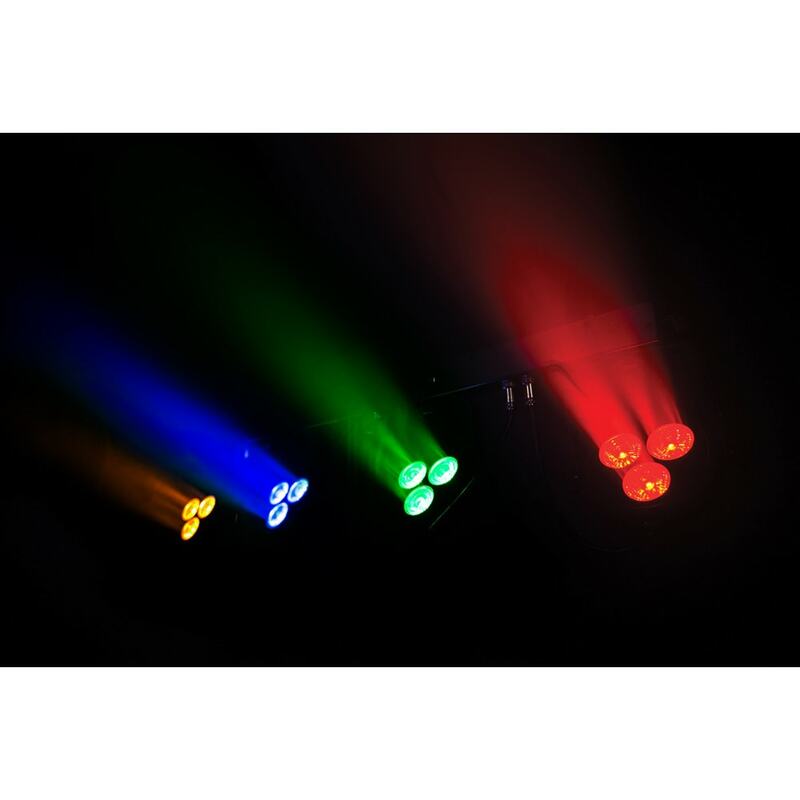 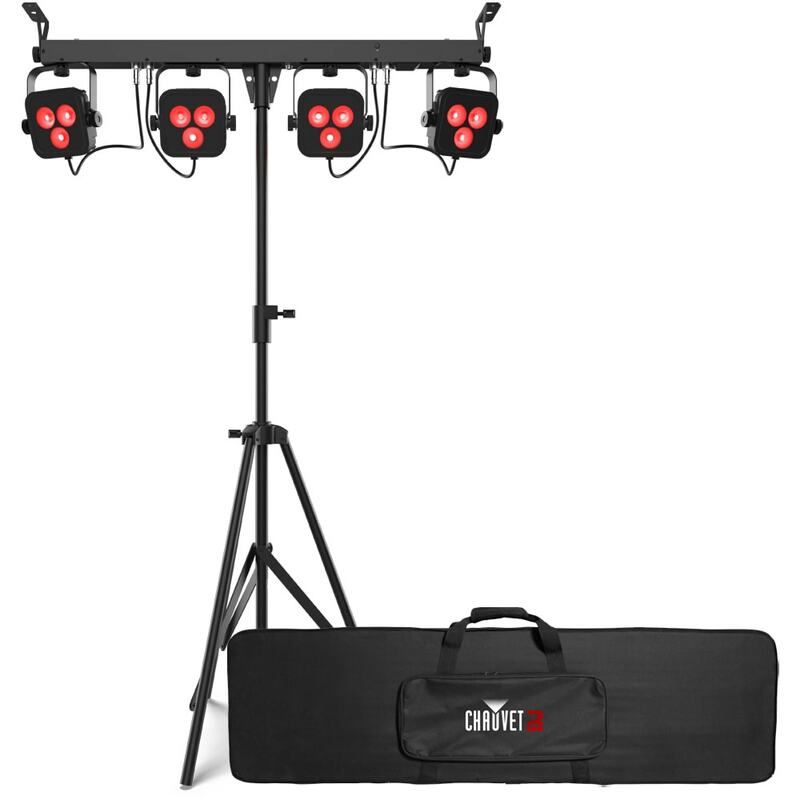 Chauvet DJ 4BAR LT QUAD BT Wash Lighting Set Bluetooth provides the rich, warm color-mixing power of amber LEDs to one of the most convenient pack-n-go wash lighting systems anywhere. 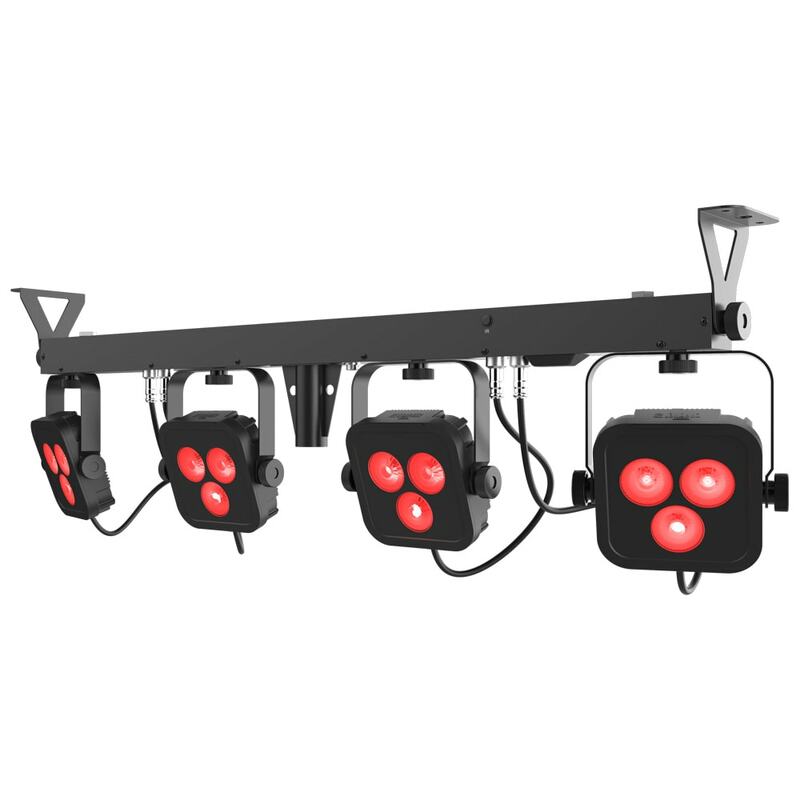 This quad-color (RGBA) fixture comes equipped with built-in Bluetooth® wireless technology so you can light easier right from your phone or tablet with the BTAir app (patent pending). 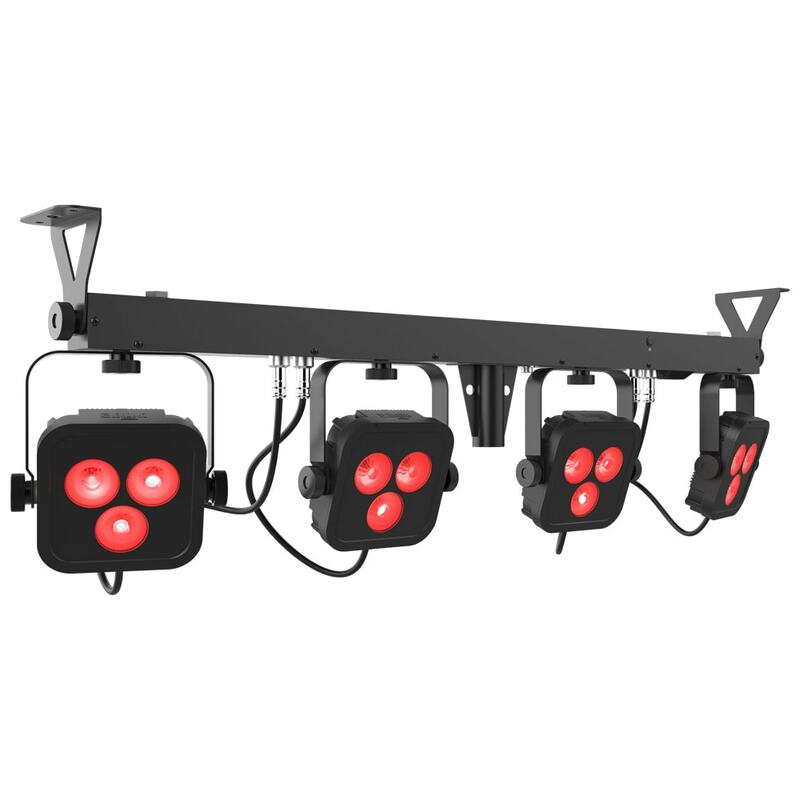 The integrated Bluetooth makes controlling the light easier than ever. 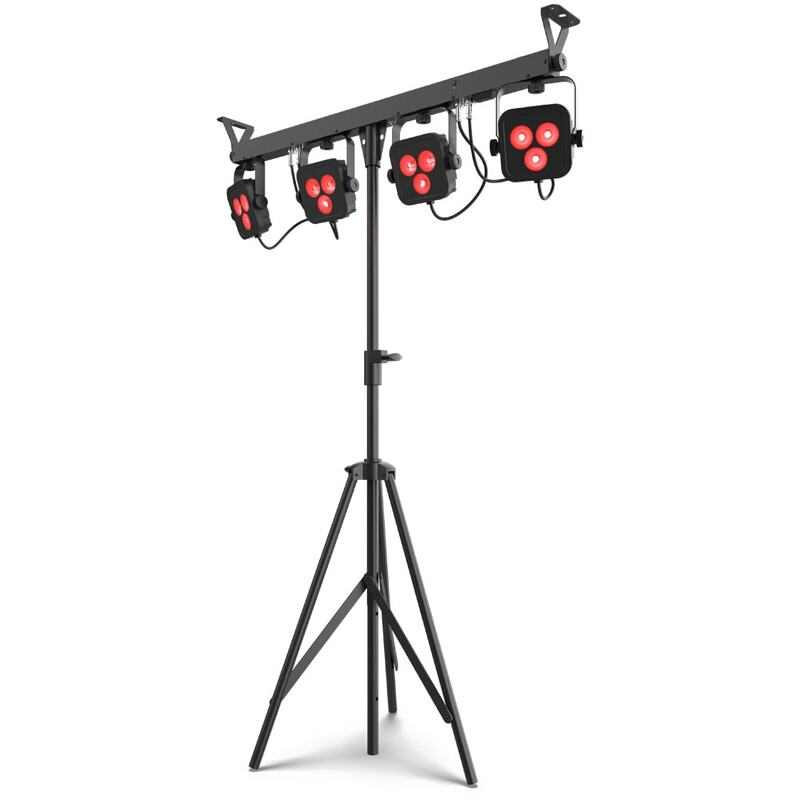 Simply connect via your favourite Bluetooth enabled smartphone or tablet device with the BTAir app and access the full control of the light without any additional hardware needed. 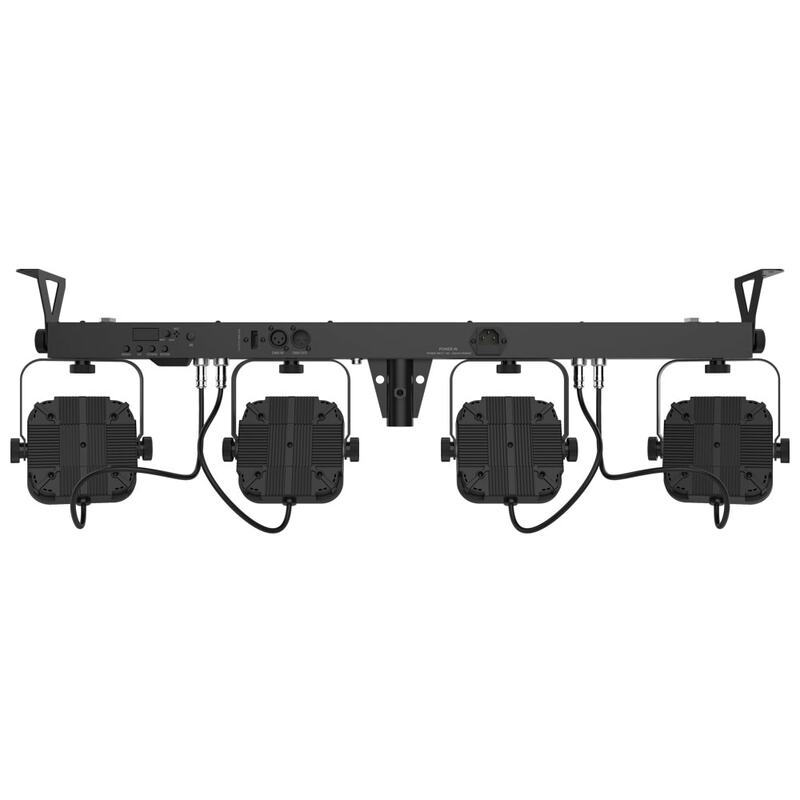 In addition, D-Fi USB compatibility for wireless master/slave or DMX control is also on board. 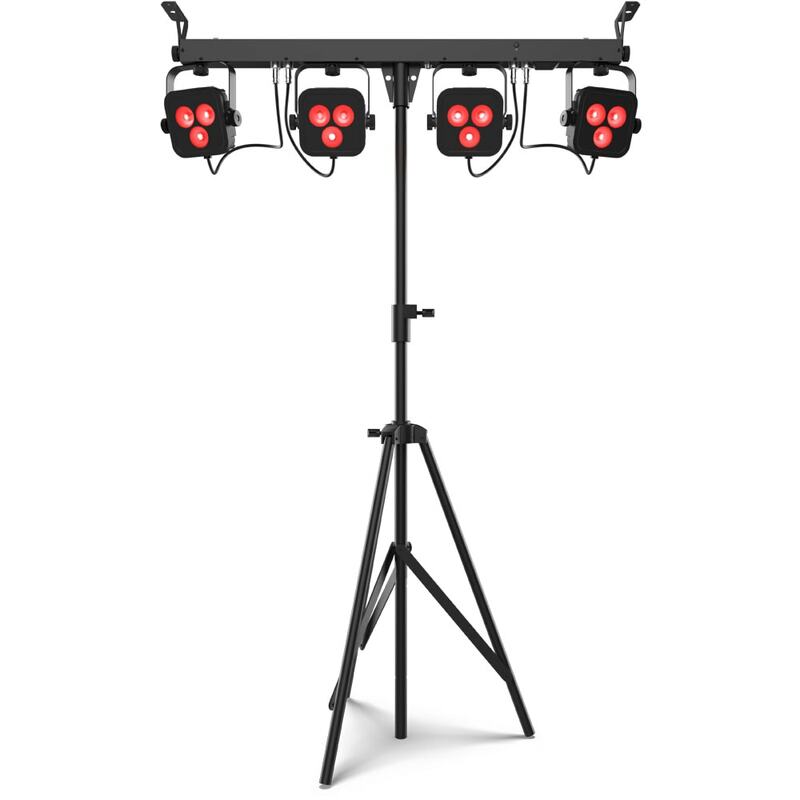 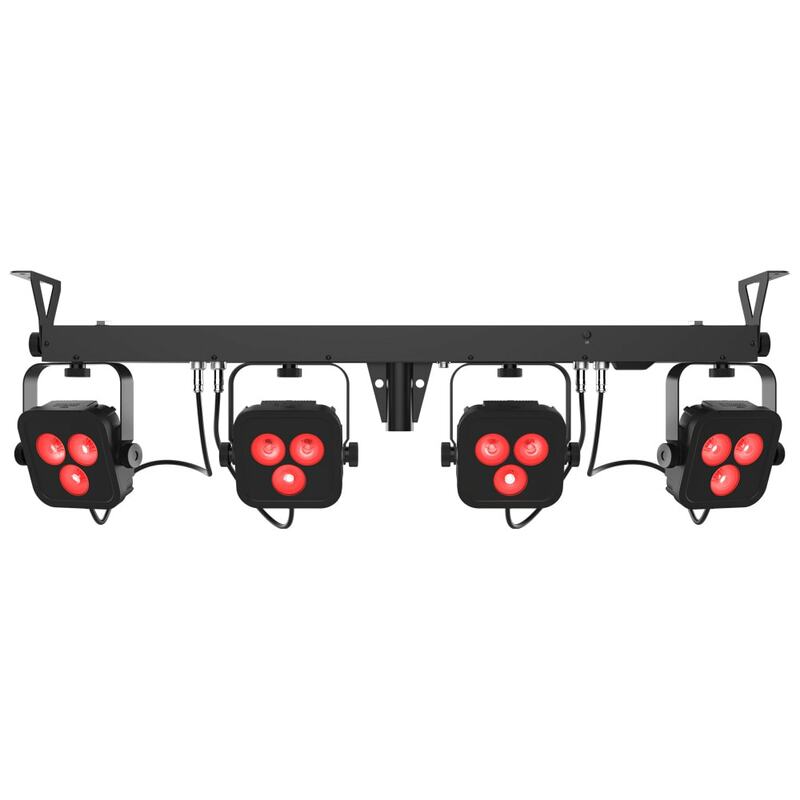 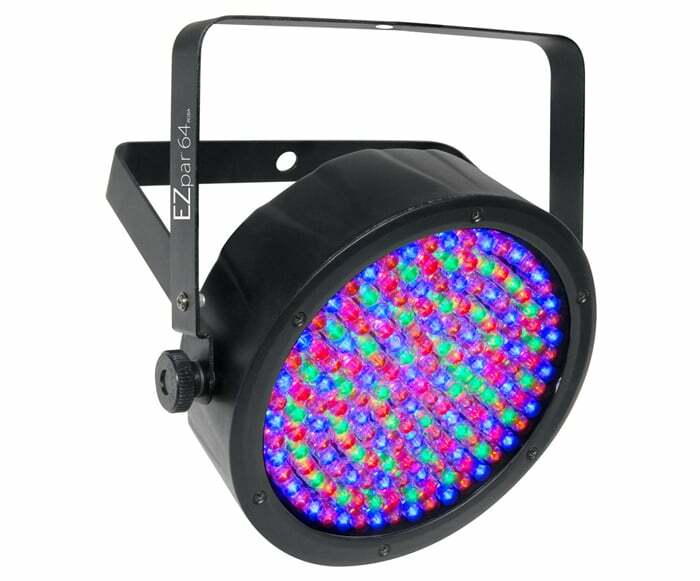 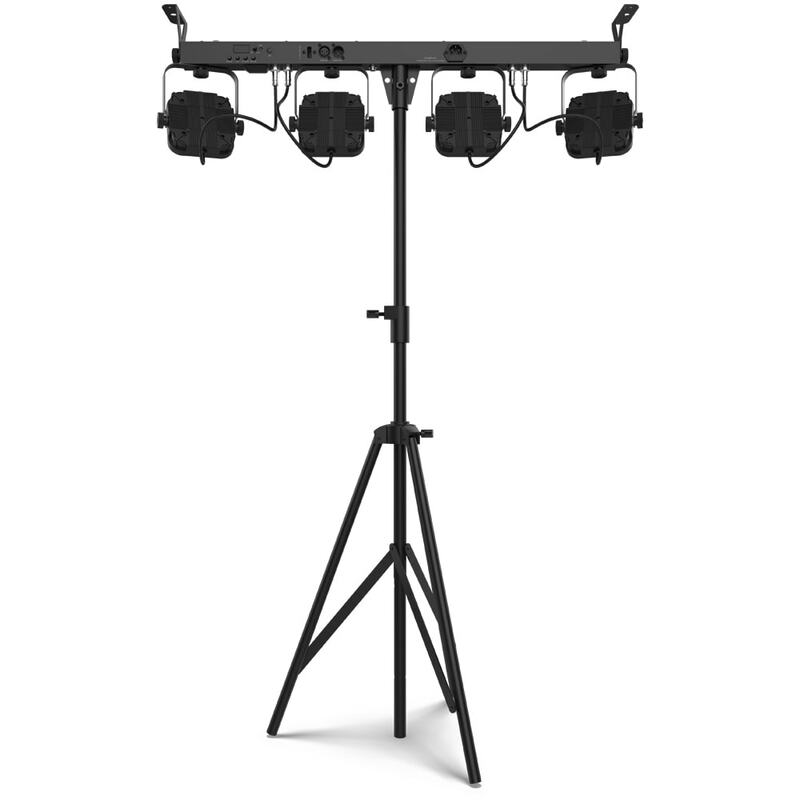 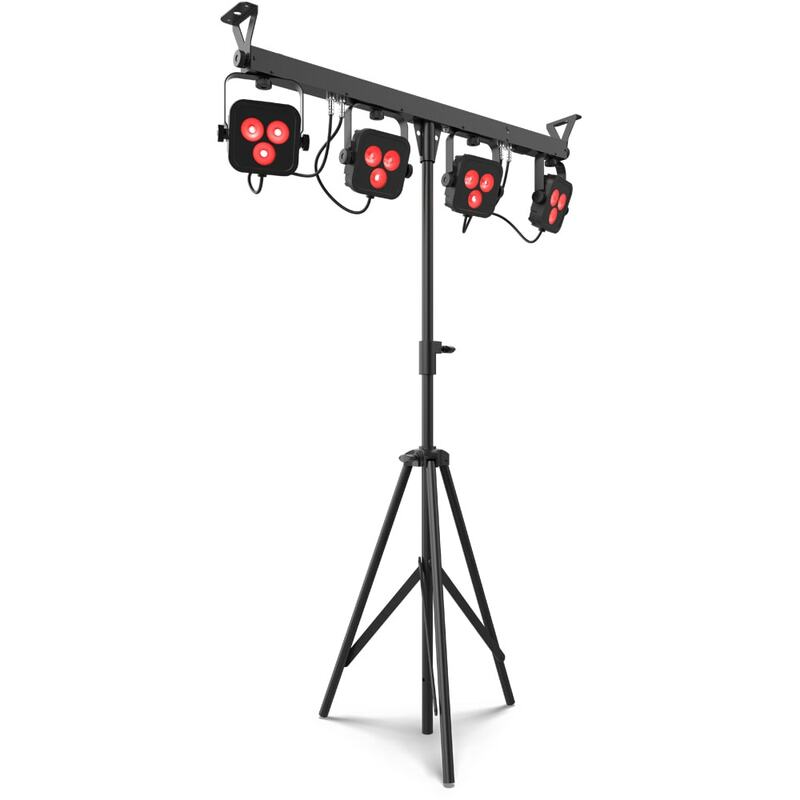 This complete wash lighting solution has 4 individually adjustable heads to achieve total room or stage coverage. Easily set up and tear down in seconds with the included tripod, carry bags and footswitch.